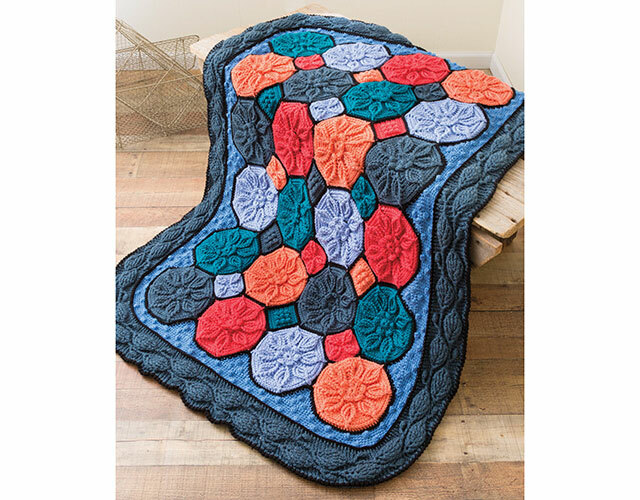 Crochet this complex-looking afghan using stitches and techniques that are quite common! Crochet expert Lena Skvagerson will lead you through the process, showing you each stitch to complete the motifs. And then she'll clearly show you the joining and finishing details needed to complete the amazing Sunset Glow Embossed Afghan! Watch over the shoulder of crochet expert Lena Skvagerson as she takes you step by step through the process of making an extraordinary embossed crochet afghan. When she teaches the slightly more complex stitches, you'll be glad you're watching an Annie's video class because you can rewatch any part of the class as many times as you like until you feel completely confident! Add the perfect finish with a reverse single crochet edging. This class includes complete step-by-step instructions for the exclusive Sunset Glow Embossed Afghan. I really loved this class. Yes, I would take another class with this instructor. She is very good and makes the instructions easy to follow. I have bought several classes from Annie's and have never been disappointed. Lena is very good, I just downloaded this afghan and am excited to make it. I have been crocheting for years, but was sick and had no energy for awhile to make anything. I'm now feeling better and I've been crocheting alot again. I hope to complete this afghan so I can move on to many more. I already know this is going to be a wonderful class. I would consider myself an adventurous beginner at crochet. I taught myself 4 months ago at the age of 40 and I have been hooked ever since. I have never purchased a crochet course of any kind, but I have seen short snippets of video of this instructor and I love the way she talks. I was also intrigued at the photo and the amazing look of this Afghan! I went ahead and purchased the video last night and just started watching it this afternoon to make the gauge motif, the small square. I watched the video and crocheted along with the instructor. She is a little fast, but the video playback is really cool and easy to repeat and rewind. I almost finished the small square motif but had to leave for work. I am so happy I bought this class and I am so excited to get going on the rest of the Afghan.